CLOSEOUTS. 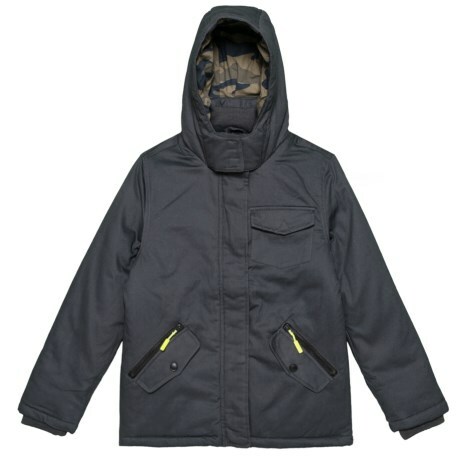 From backyard antics to schoolyard recess, Tahariand#39;s cotton twill jacket keeps him warm and protected thanks to lightweight synthetic insulation and an attached, insulated hood. Available Colors: EBONY. Sizes: 8, 10/12, 14/16, 18.